New version of JxBrowser is available for download. 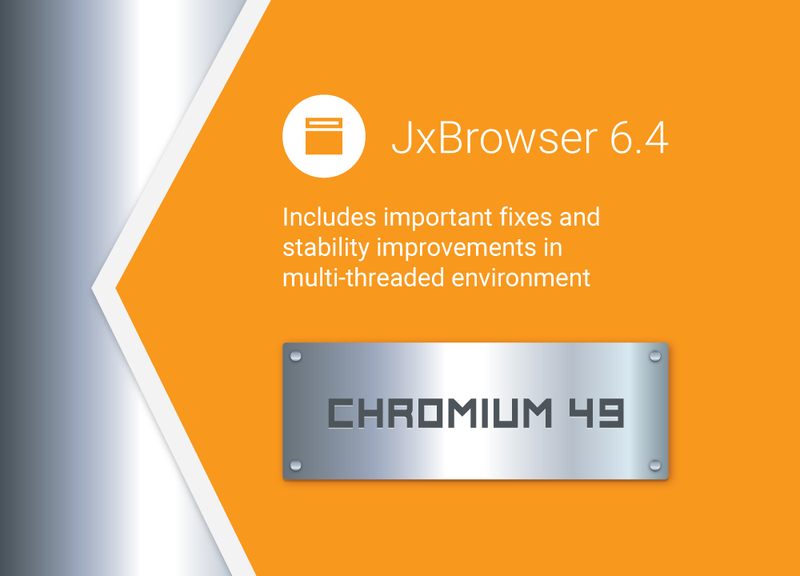 In JxBrowser 6.4 we updated Chromium engine to version 49.0.2623.110, implemented several new features, and fixed important issues reported by our customers. For the full list of the features and improvements, please see the Release Notes.